We just came out with a Coffee Dripper/Pourover. It’s the best. I brew my own personal cup of coffee with it every. single. morning. It fits perfectly over our Mug, but also does well over any other 12oz+ vessel. BUT you can also speed up the process in a couple different ways: 1) Try a coarser coffee ground or 2) With your order you’ll find a toothpick, break it in half and place it criss cross between the drainage holes and under the filter. This will let the drip speed up without compromising the strength of your coffee. 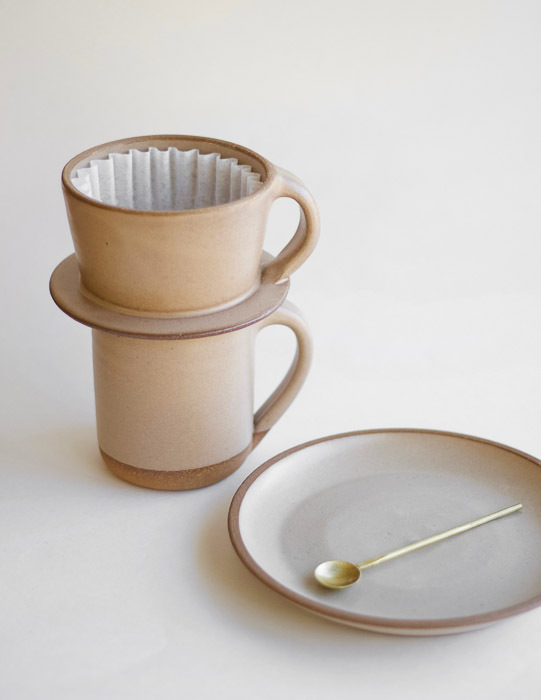 The Coffee Set that we have available is ideal because it comes with a Side Plate for you to rest your Pourover on as soon as it’s done brewing.